OTTAWA, ONTARIO--(Marketwire - Dec. 7, 2009) - Ottawa Community Housing is proud to unveil the renewed and "greener" Banff-Ledbury Community. Thanks to more than $6 million in funding from all levels of government, the community has undergone major improvements. The community renewal was launched in June 2008. The process has proven to be a successful model for future OCH community renewal initiatives. Media are welcome to attend this event. 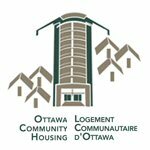 Ottawa Community Housing Corporation is the largest social housing provider in Ottawa, and the second largest in Ontario. It provides 14,783 units to over 32,000, seniors, parents, children, singles and persons with special needs in 162 communities.